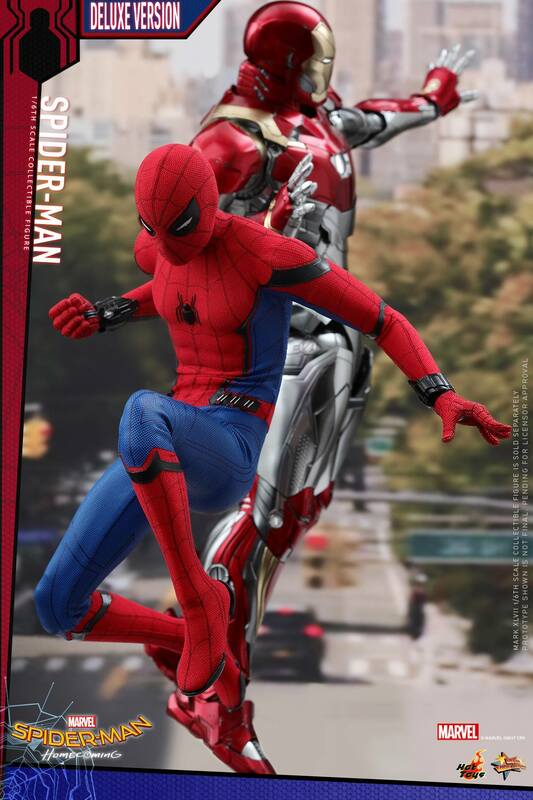 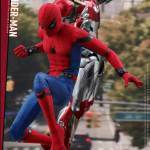 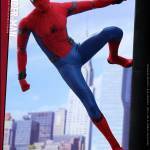 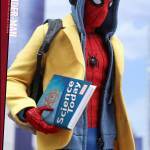 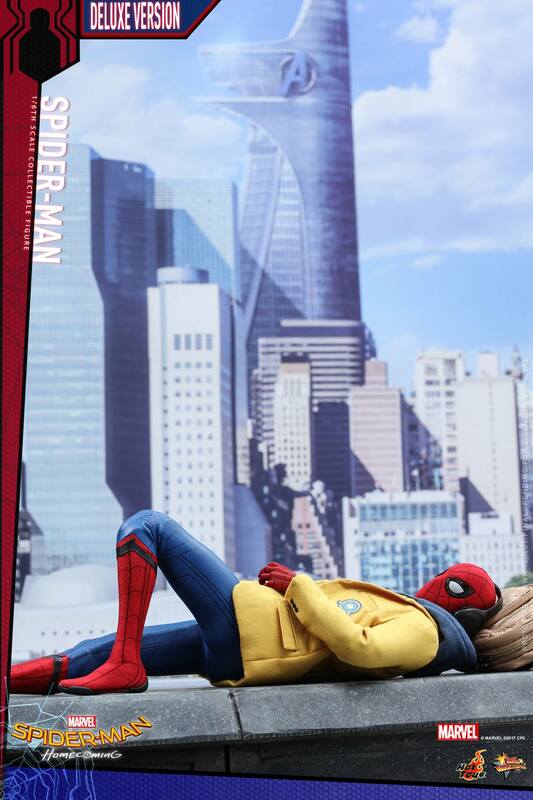 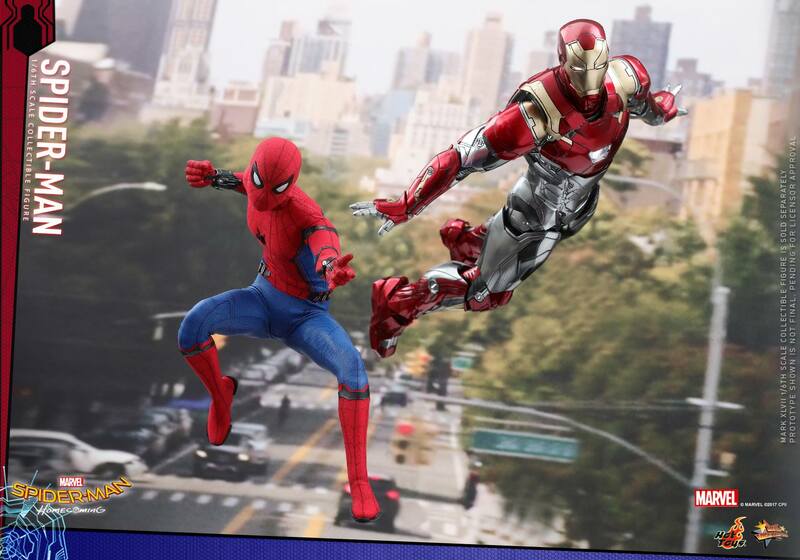 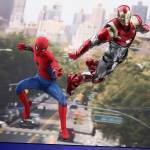 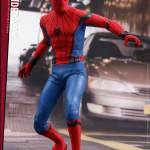 After teasing the figure some time ago, and revealing both the Spider-Man Homemade Suit and Iron Man Mark 47, we now have photos and details for the Spider-Man: Homecoming 1/6 Scale Figure by Hot Toys. 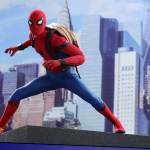 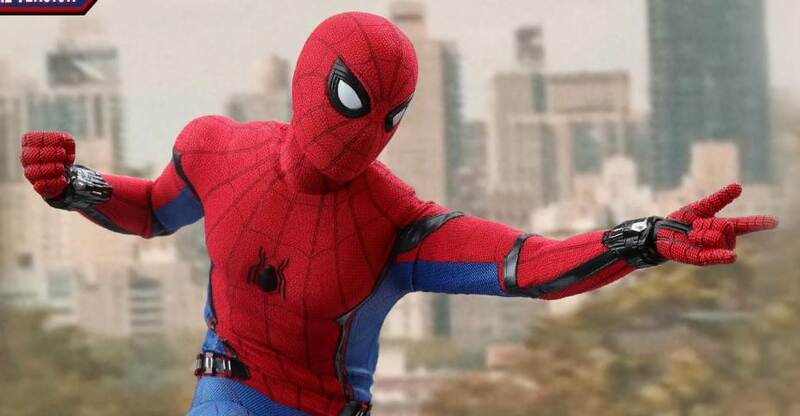 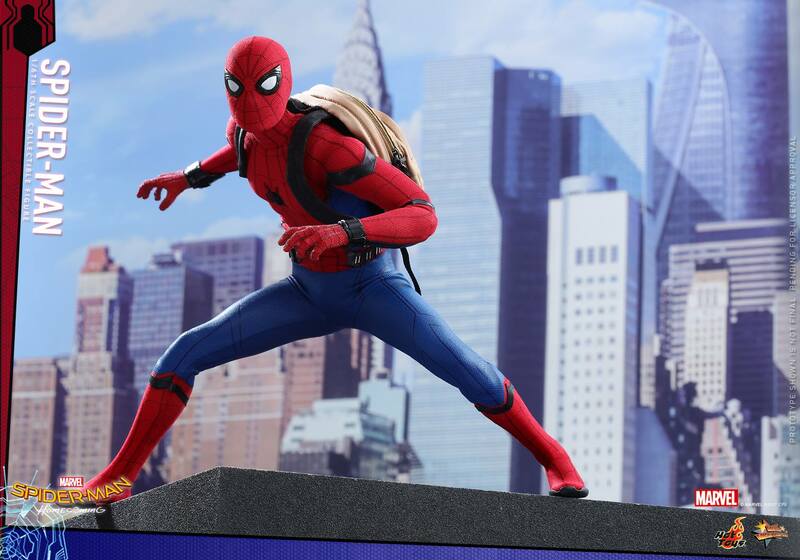 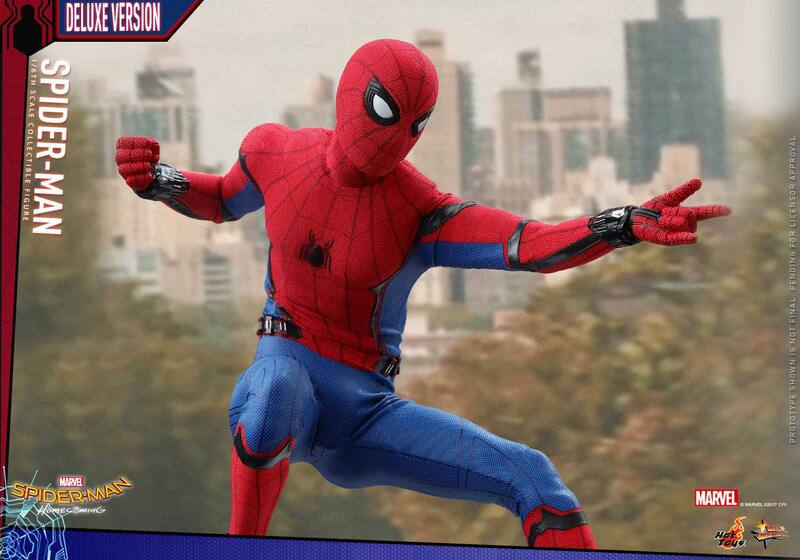 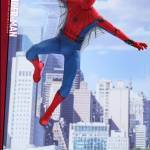 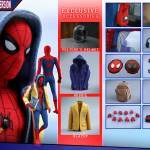 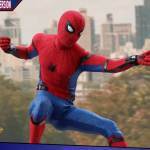 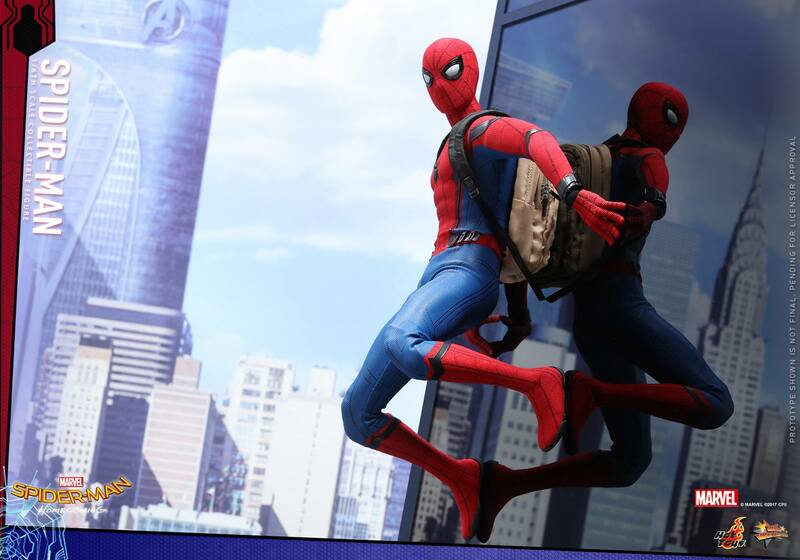 The figure will be based on the newly designed “Tech Suit” seen in the film, and include numerous parts and accessories to recreate many iconic Spidey poses. 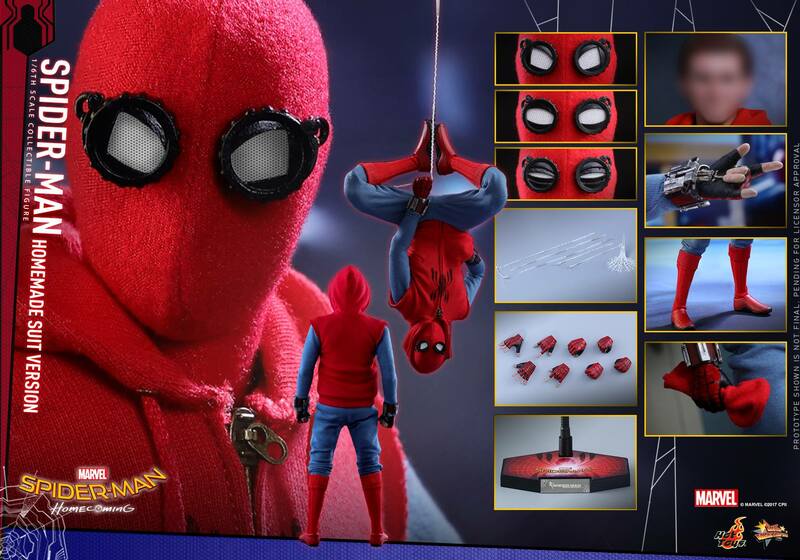 Spider-Man will come with multiple sets of interchangeable eye lenses for the masked head, an unmasked head sculpt, swap out hands, magnetic web wings, a mask, web effects, a backpack, a textbook, headphones, spider-signal stickers and a specialized figure stand. 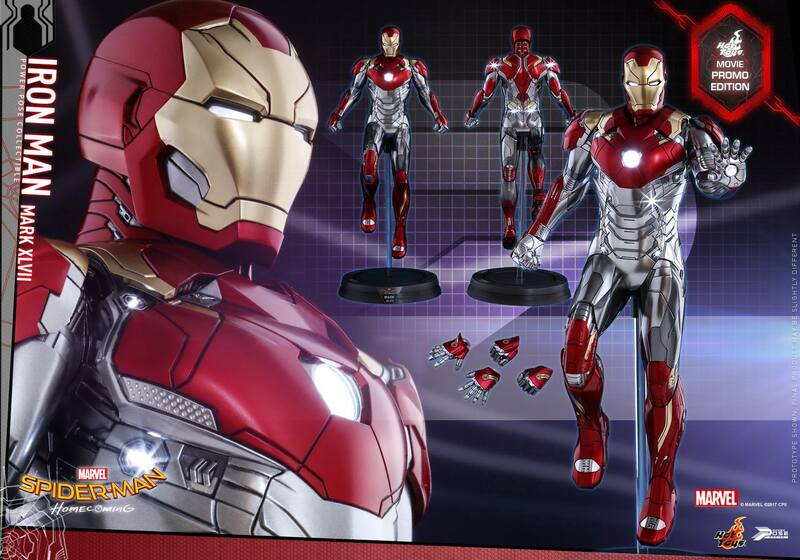 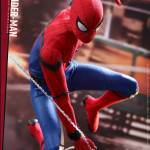 the figure will stand just over 11″ tall, and will have over 30 points of articulation. 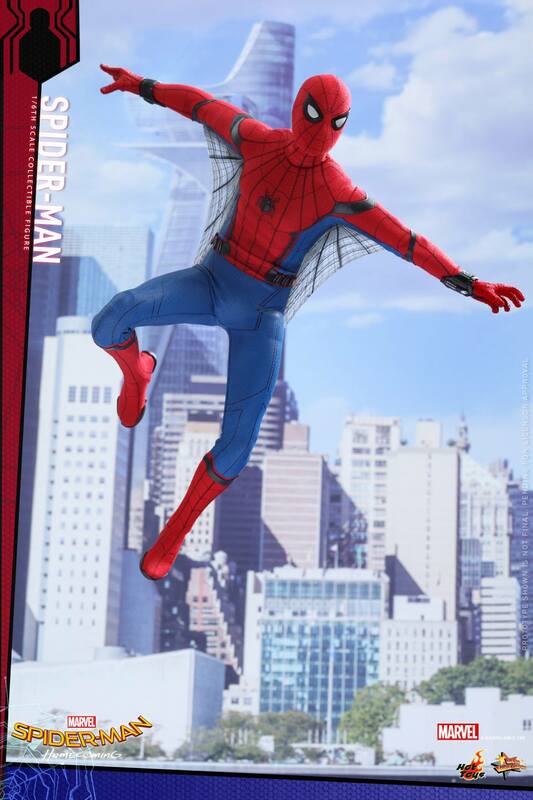 A Deluxe Version of the Spider-Man figure will also be available. 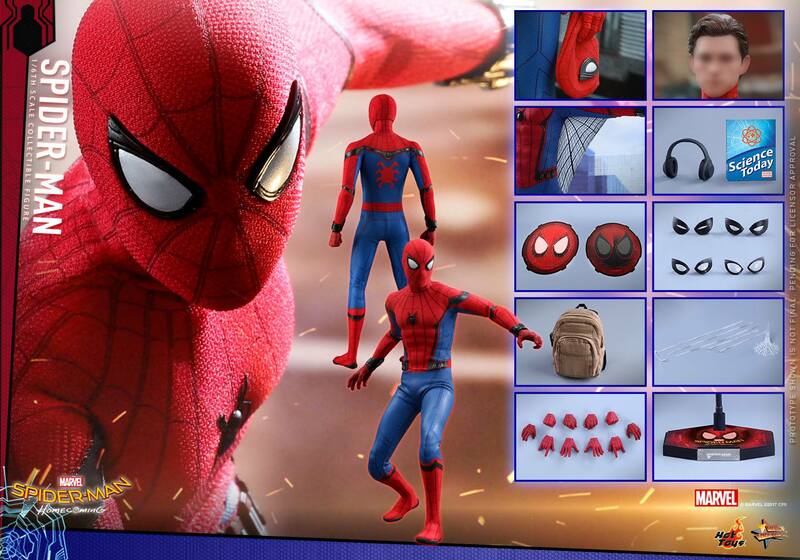 The Deluxe Version will include everything from the standard release. 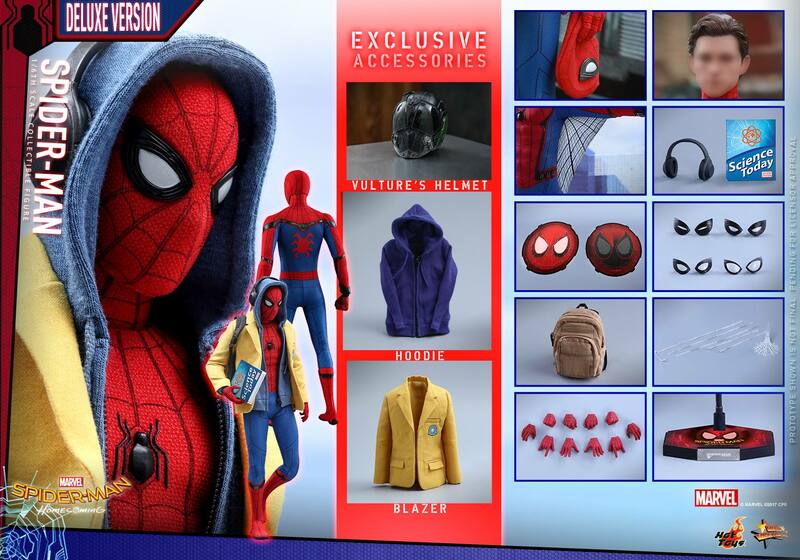 It will also include his school blazer, a zip-up hoodie, and Vulture’s helmet. 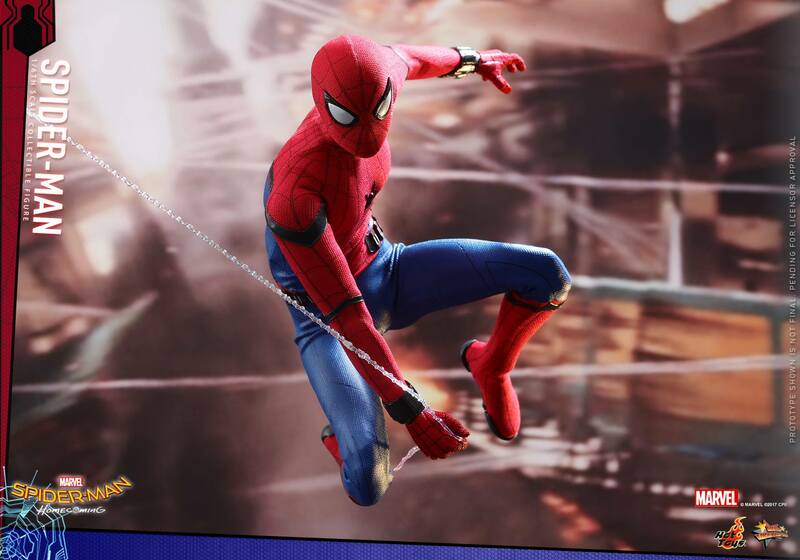 Both figures are due for release between the second and third quarters of 2018 (yes, over a year away). 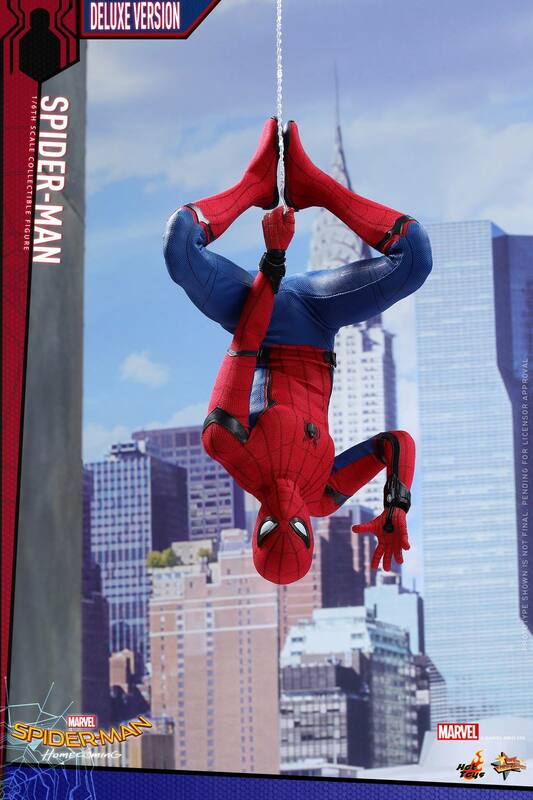 For more details and all of the photos, read on. 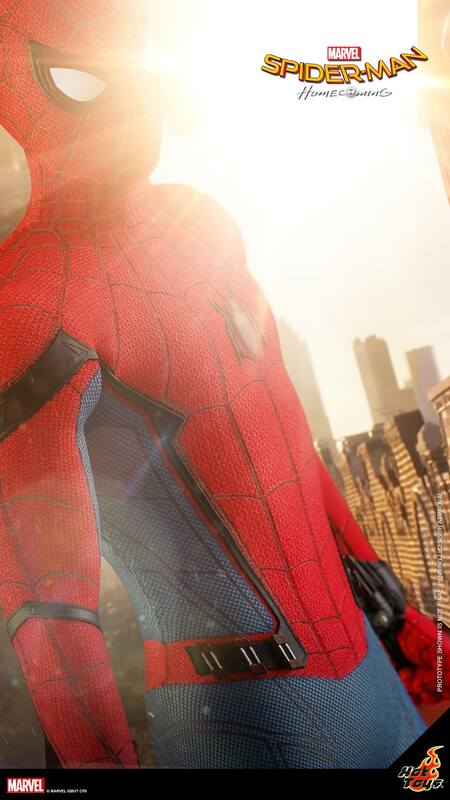 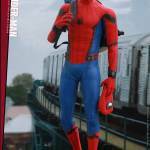 Making debut in the Marvel Cinematic Universe, the young Spider-Man Peter Parker, portrayed by Tom Holland, first appeared in Captain America: Civil War. 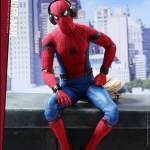 Followed by series of incidents after fighting with the Avengers, he’s fascinated with life as a superhero. 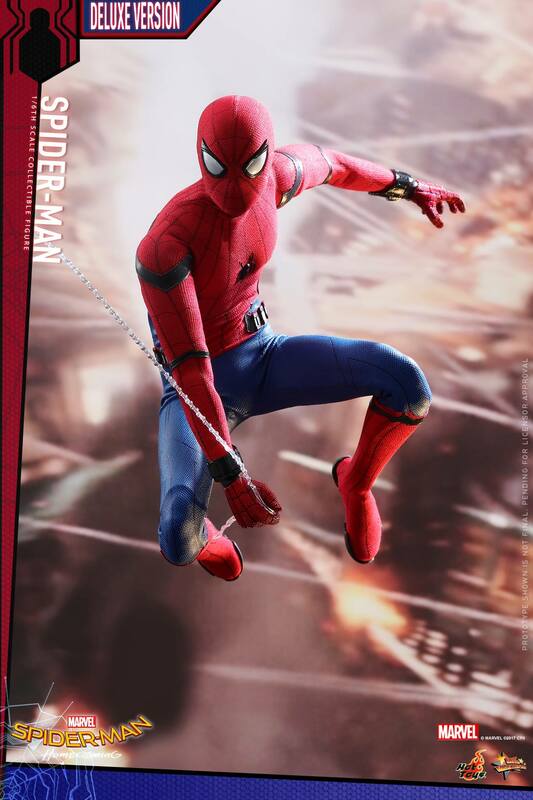 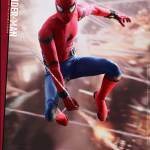 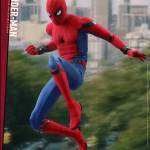 With Spider-Man: Homecoming about to hit the big screen, Hot Toys is thrilled to announce the 1/6th scale Spider-Man collectible figure based on the suit designed by Tony Stark in the highly anticipated blockbuster! 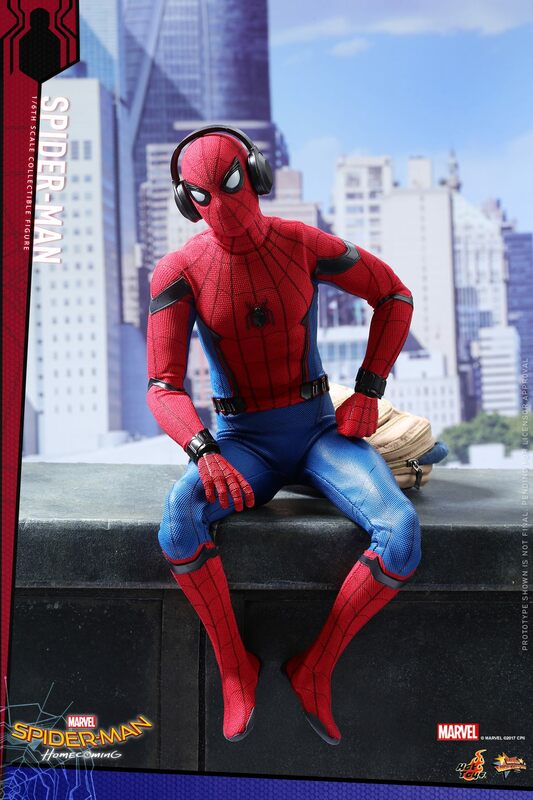 The latest Spider-Man collectible figure is crafted in movie accurate quality that features a newly developed masked head sculpt with four pairs of interchangeable eye pieces to create numerous Spider-Man’s expressions, another interchangeable head sculpt featuring likeness of Tom Holland, a newly developed body and Spider-Man suit in meticulous tailoring and great details, a pair of magnetically attachable web-wings, a variety of spider-web shooting effect parts and accessories as well as a dynamic figure stand. 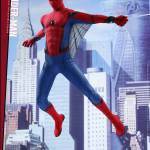 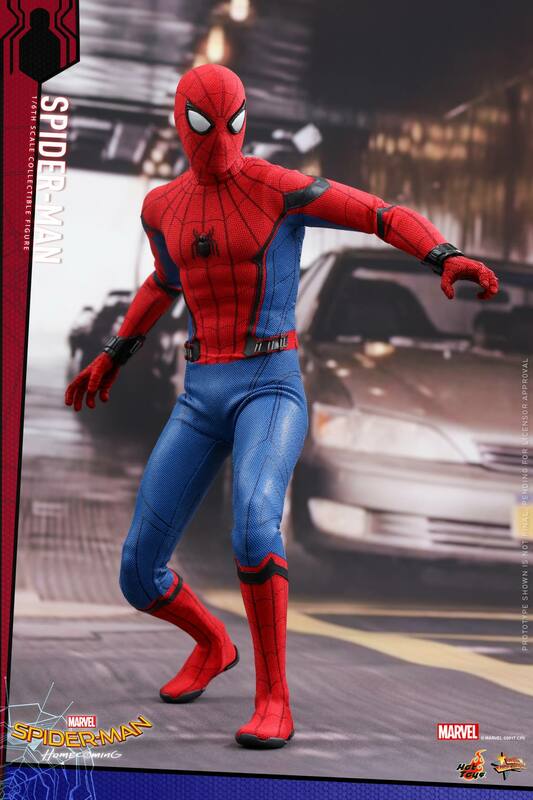 This is sure to be a brilliant addition to your Spider-Man collection. 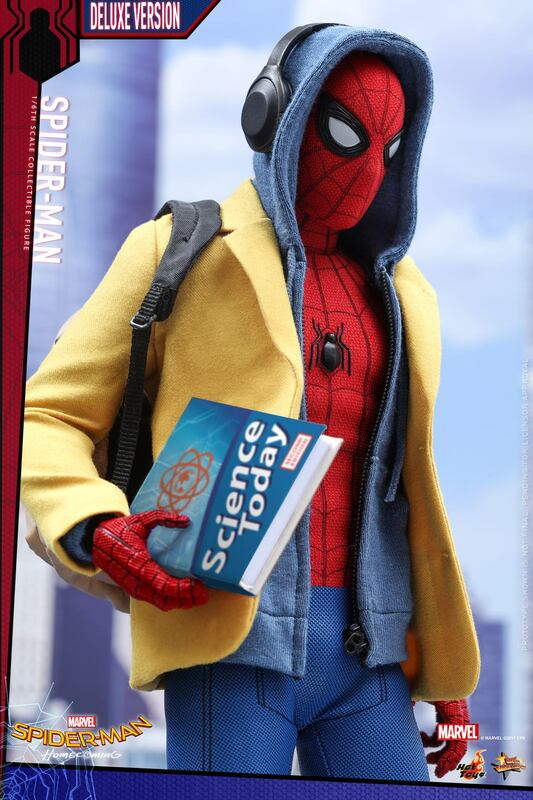 Reward yourself by ordering it today! 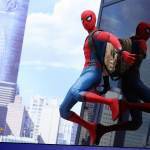 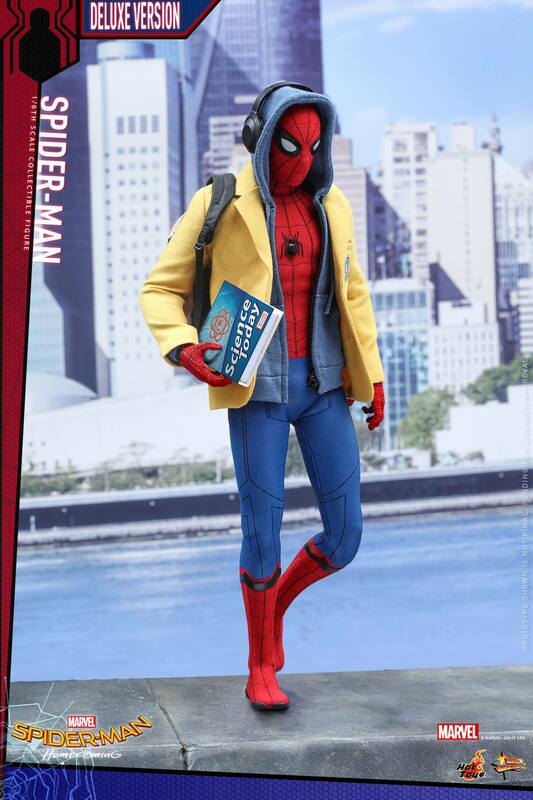 After the events of Captain America: Civil War, the young Spider-Man, Peter Parker, is trying to strike a balance between his normal routine life as a high school student and the crime fighting superhero life under Tony Stark’s mentorship. 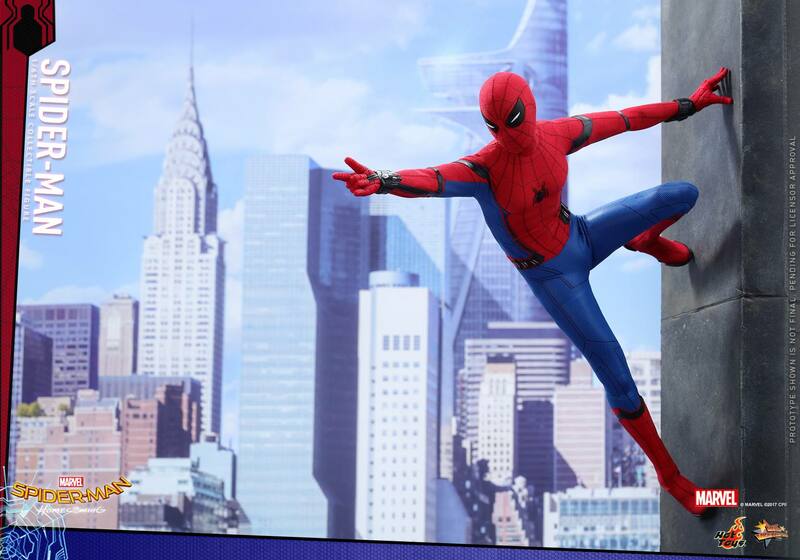 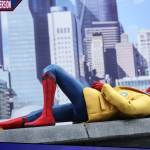 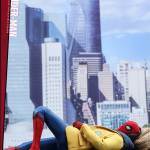 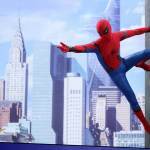 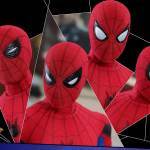 Eagerly awaited by fans, Spider-Man: Homecoming will soon be released and expected to become a mega hit! 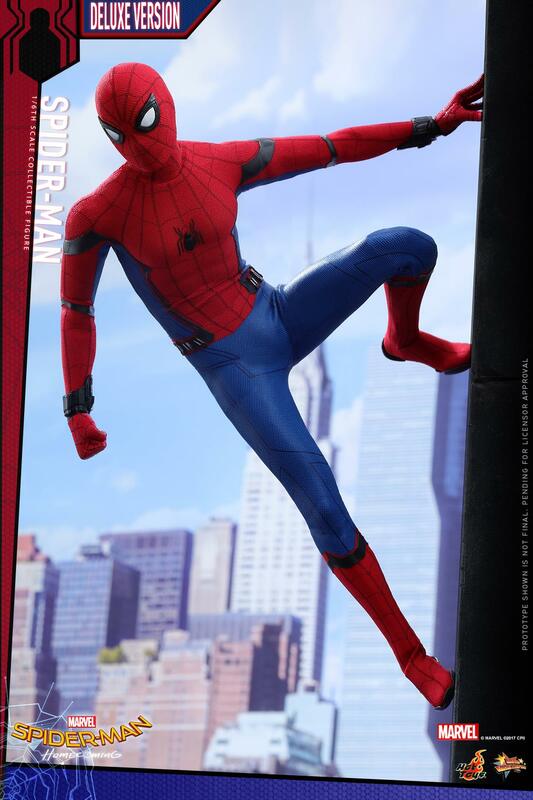 Today Hot Toys is ecstatic to reveal the highly anticipated brand new 1/6th scale Spider-Man Collectible Figure (Deluxe Version). 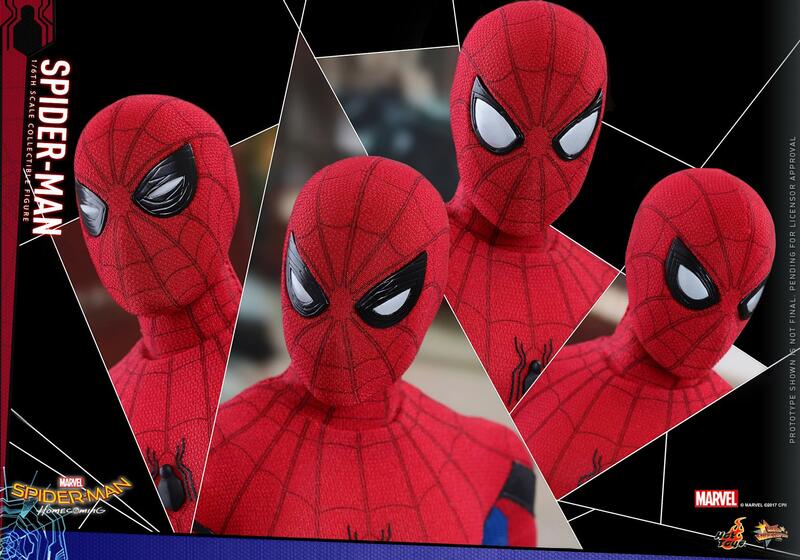 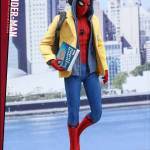 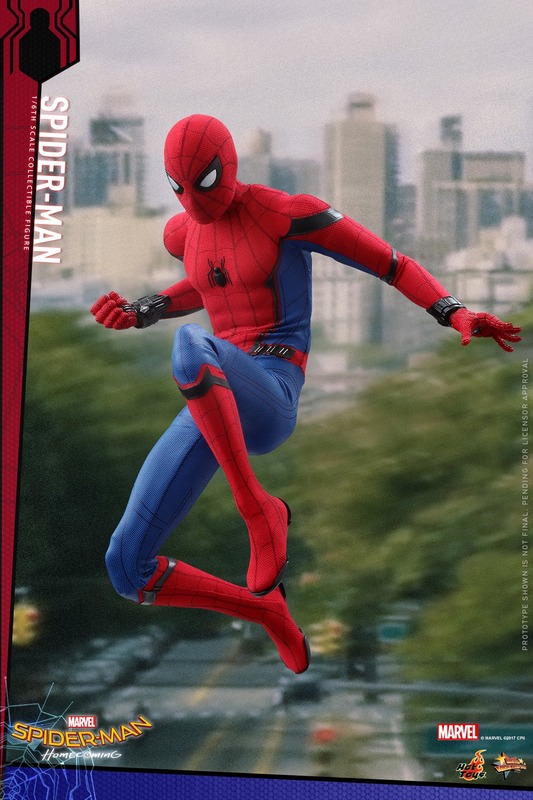 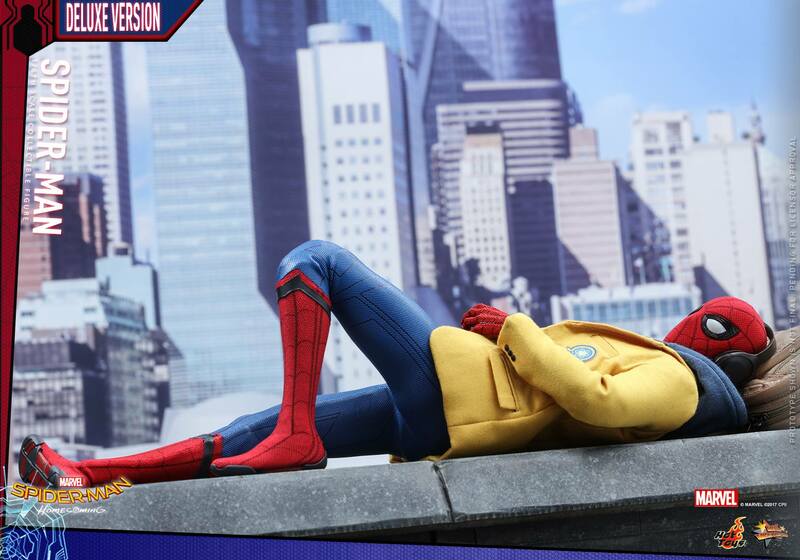 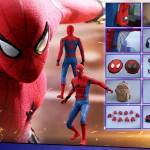 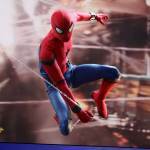 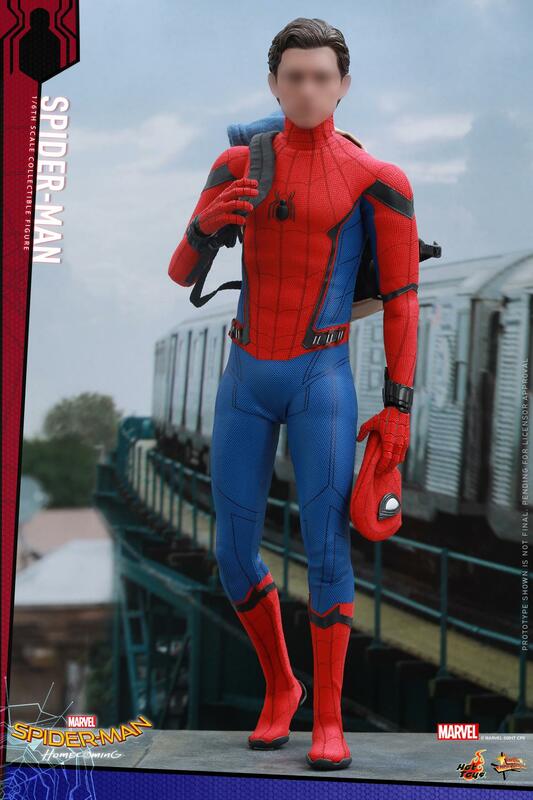 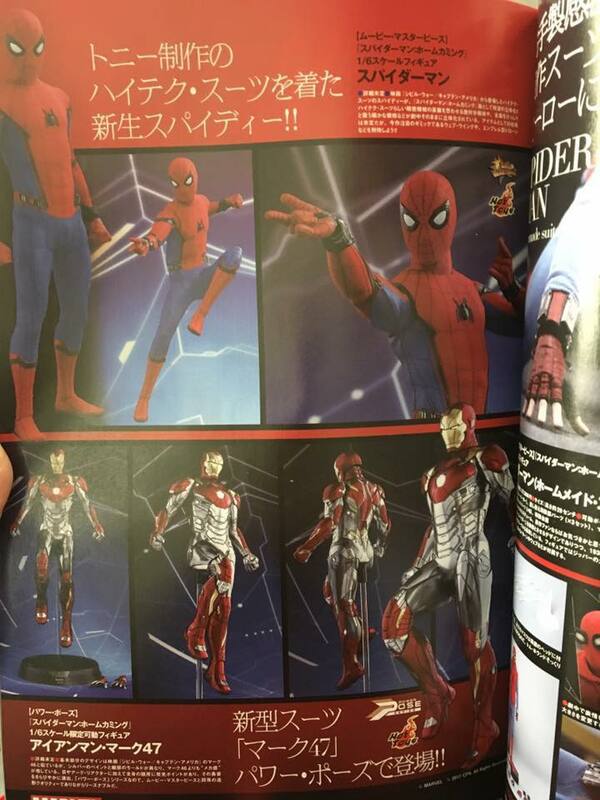 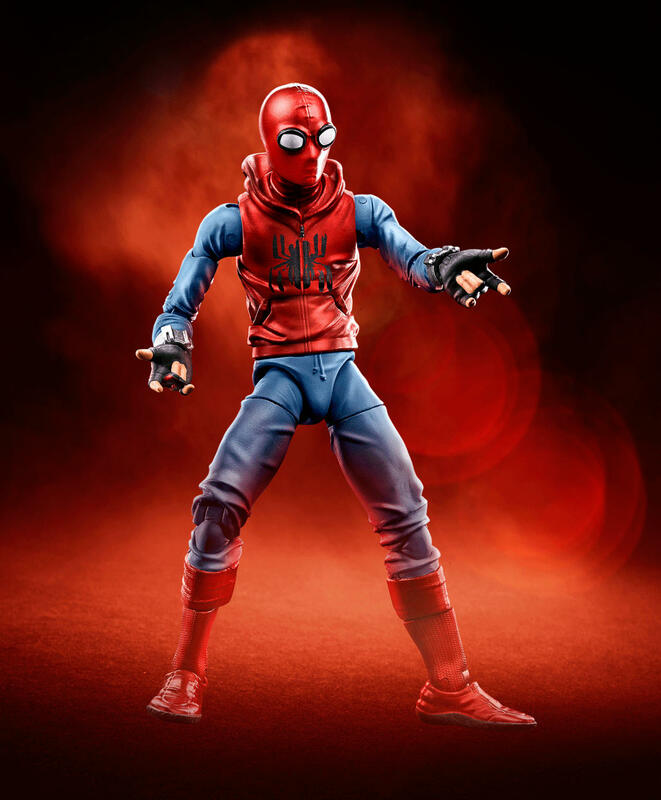 Based on the new battling suit given to Peter Parker by Tony Stark, the figure features a newly developed masked head sculpt with four pairs of interchangeable eye pieces to create numerous combinations of Spider-Man’s expressions, newly crafted interchangeable head sculpt featuring likeness of Tom Holland, a newly developed specialized body, an expertly tailored and greatly detailed costume, a pair of magnetically attachable web-wings, a variety of spider-web shooting effect parts, and a Spider-Man themed dynamic figure stand. 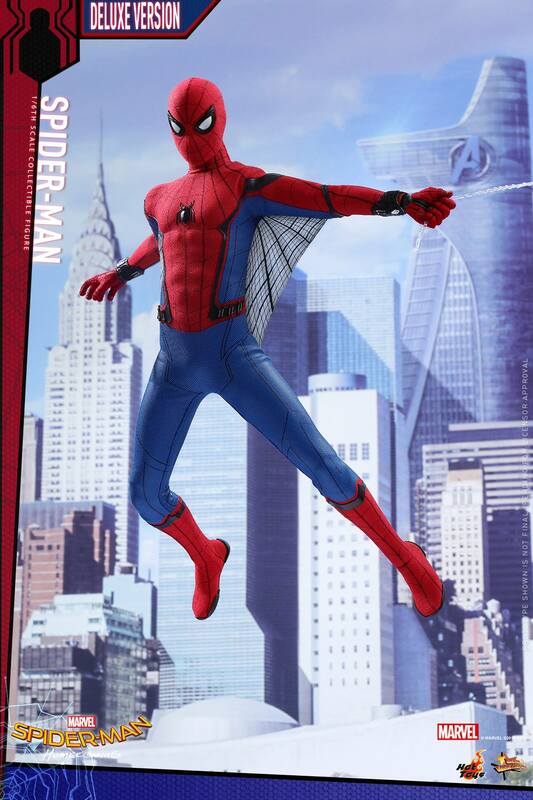 This Deluxe version specially comes with an additional school blazer, a zip-up hoodie, plus a highly detailed Vulture’s helmet! 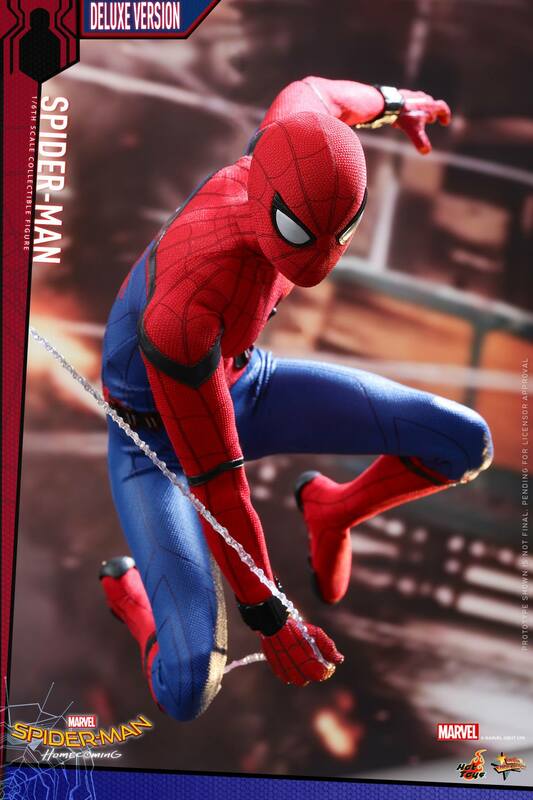 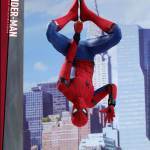 The suit’s fine details have been remarkably transferred onto this Spider-Man collectible figure, make sure you have reserved a space in your display for this impressive masterpiece.